This site has a small selection of photos taken by me, and photos of our wedding taken by professional photographers. 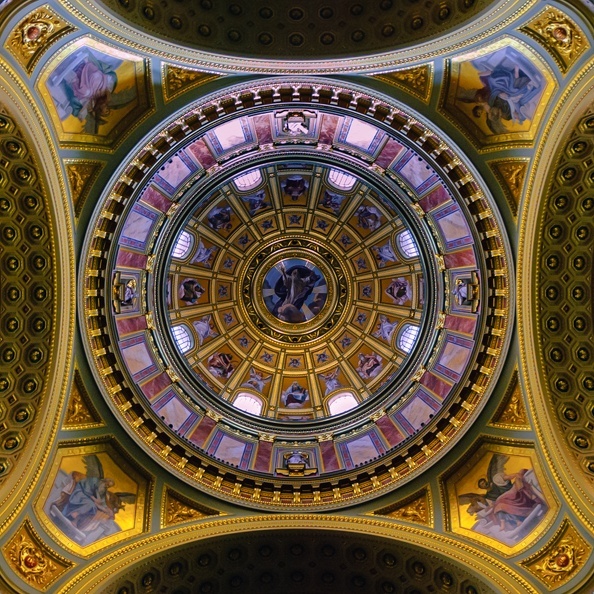 This is a picture of the main dome in St Stephen&apos;s basilica (Cathedral) in Budapest. The top of the dome is 96 meters tall, which makes it the equal tallest building in Budapest with the Hungarian Parliament Building. St Stephens was completed in 1905 after 54 years of construction, which was considerably extended due to the collapse of the dome in 1868. This resulted in complete demolition of the works to date and rebuilding from the ground up. Visitors may access the dome by elevators or by climbing 364 stairs for a 360° view overlooking Budapest.